Recently, Warner Bros revealed what goodies, fans of Injustice: Gods Among Us will be getting in the Collector's Edition! 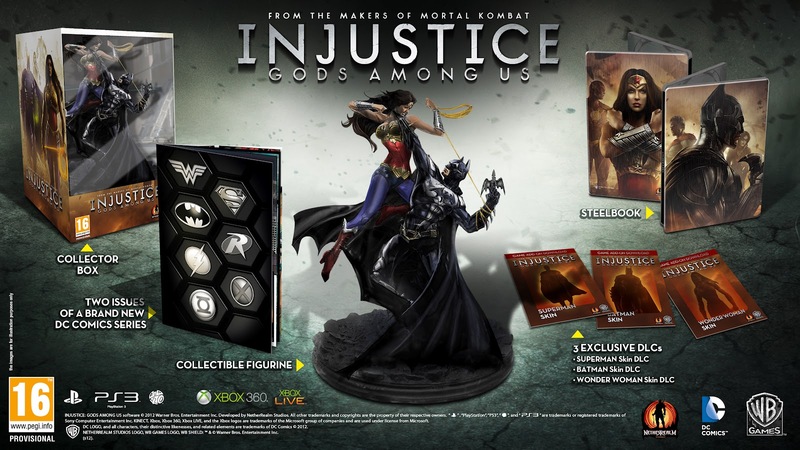 - Exclusive 25cm Injustice Collectible statue featuring Batman and Wonder Woman. - Two issue of a brand new DC Comics series. - Three exclusive skins based on Batman, Superman and Wonder Woman from DC Comics. See the Collector's Edition below!